God has spoken to us in the Scriptures in divers portions and in divers manners; but the voice is ever the same, it is always the Word of the same God. Hence the importance of treating the Bible as a whole, and receiving the witness it gives in its various portions, concerning certain definite truths. It is thus we learn to recognize the place these truths actually occupy in Revelation, or rather in the Heart of God. Thus, too, we begin to discover what the foundation truths of the Bible are, which above others demand attention. Standing as they do, so prominently, in each new departure in God's revelation; remaining unchanged when the Dispensation changes, they carry a divine intimation of their importance. The Power of the Blood of Jesus by Andrew Murray was published by Wilder Publications in February 2011 and is our 6635th best seller. 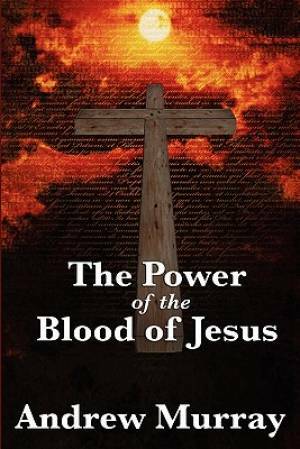 The ISBN for The Power of the Blood of Jesus is 9781617202759. Be the first to review The Power of the Blood of Jesus! Got a question? No problem! Just click here to ask us about The Power of the Blood of Jesus.